Calgary 2026 presented its proposed bid framework to the city on Tuesday and councillors learned that it would cost an estimated $5.23 billion to host the 2026 Olympic and Paralympic Winter Games. 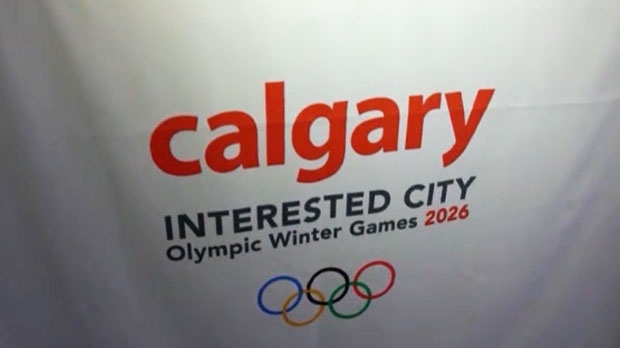 Calgary 2026 Bid Corporation was established in June 2018 to produce a candidature file that would be submitted to the IOC, should the city decide to move forward with a bid for the games. Mary Moran, Calgary 2026 CEO, walked council through the Draft Hosting Plan Concept and outlined the investment needed for operating the games and for building new infrastructure and modernizing existing venues. An investment of over $2 billion will be required and 91 percent of that will be funded by the IOC, domestic sponsorship and ticket sales. The remaining nine percent will be covered by the government. About $3 billion will come from public investment and will be split between the three orders of government. The hosting plan includes a new fieldhouse, with a capacity of 10,000, for figure skating and short track speed skating and a new, mid-size arena that can hold 5,000 to 6,000 spectators for hockey. The two, new venues will be built close to the University of Calgary and officials say the fieldhouse can be converted to a summer, multi-sport facility after the games. Many of the venues from the 1988 Olympic Winter Games will be modernized including eight in Calgary and three mountain facilities. The plan does not include a new arena for the Flames or a new stadium for the Stampeders. Two, new athlete villages, in Calgary and Canmore, are also in the plans and will be repurposed following the games for affordable housing units. The cost estimates are in 2018 dollars and do not account for the rate of inflation over the next eight years. A Calgary bid would cost $30 million, which would also be shared by all three levels of government. If the city decides to continue with a bid, a plebiscite would go ahead on November 13 to give Calgarians a say and if council votes to stop pursuing the project, a plebiscite would no longer be needed. Cities will be invited to bid for the 2026 Olympic and Paralympic Winter Games by the IOC in October. Invited candidates must then submit a formal bid proposal by January and a host city will be selected by the IOC Session in September 2019. For more on Calgary’s potential bid for the 2026 Olympic and Paralympic Winter Games, click HERE. Calgary 2026 Bid Corporation will present a Draft Hosting Plan Concept to city council on September 11, 2018.